We are a comprehensive neck pain solution center. Our goal is to treat both your symptoms and the underlying cause of your condition. This is the way to achieve complete healing, find relief, and move toward true wellness. Our Midlothian chiropractor, Dr. Tyson, has helped thousands of people stop their neck pain and regain their health through chiropractic care and physical therapy. If you are experiencing neck pain, you have found help. 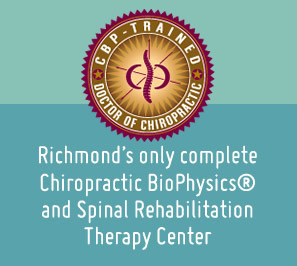 Advanced Care Chiropractic and Wellness Center is the top chiropractor in the Richmond area for neck pain. Dr. Tyson is passionate about bringing you effective neck pain relief without drugs, injections or surgery. We get results. Call today! Chiropractic BioPhysics: A highly advanced, scientific, and proven chiropractic technique which corrects and restores your spine back to alignment through physical therapy specific to the ligaments, tendons and muscles that support the spine. Spinal Rehabilitation: A combination of physical therapies to increase movement and relax tension in the spine while allowing corrections in alignment. Spinal Decompression: A cost-effective, non-surgical and non-invasive treatment for back and neck pain. Our range of physical therapies allow us to take your unique challenges and provide the optimal pain treatment solution. Proudly Serving the Midlothian and Richmond Communities.